Enough plastic moving boxes for a medium office that supports 6 to 15 people, plus security seals, labels and a marker pen. 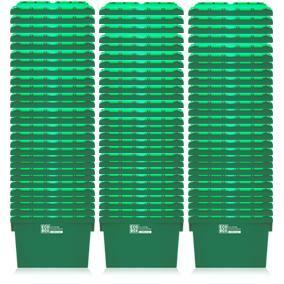 Why order our plastic moving boxes for a medium office online? 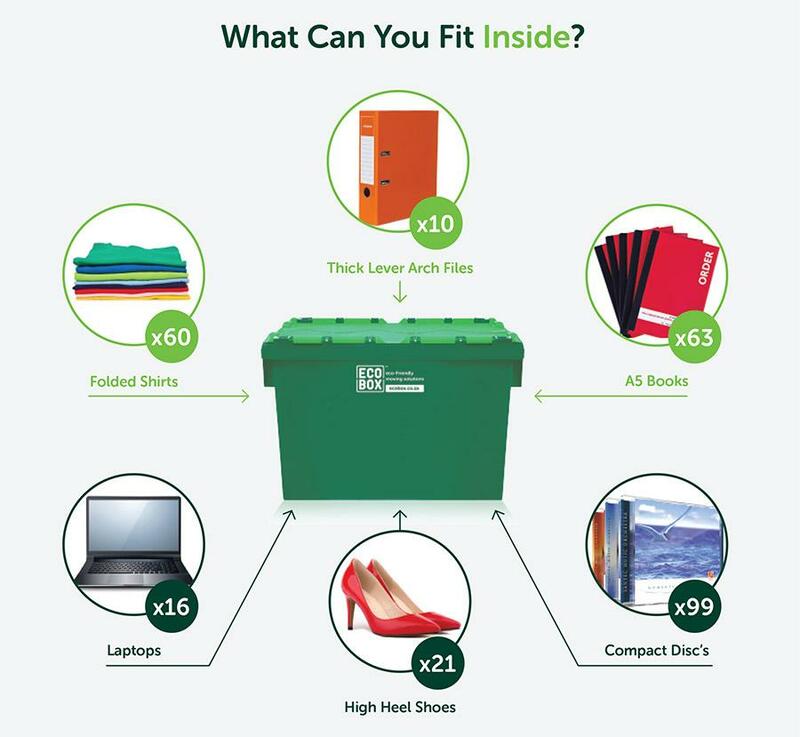 Buy our medium office moving box kit online and you’ll be able to control the costs involved in packing the contents of a medium office. You’ll also save the time and effort involved in sourcing enough suitable boxes for the move. Simply order the kit and we’ll deliver it to your location at a date and time you select. 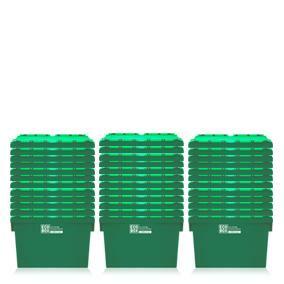 The Ecoboxes included in our medium office relocation kit are sturdy, recyclable plastic moving boxes. They won’t break, buckle or expose items to water damage, and are easy to seal, move and stack. This makes them ideal for protecting and transporting office items – from files and books to computer peripherals – and employees’ personal items. 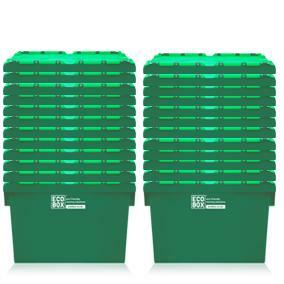 For maximum convenience, our medium office moving kit also includes collection of empty boxes once you’ve unpacked at your new office premises. Order a medium office moving kit online and let us help you ensure that your office relocation proceeds smoothly and on budget.